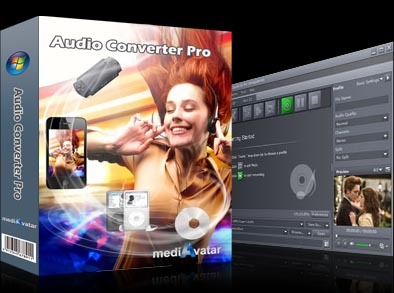 A must-have tool for music fans, mediAvatar Audio Converter Pro for Mac covers all the audio conversion functions you may need: audio converter, audio extractor, CD ripper and CD burner, allowing yout to convert between audio formats (MP3, WMA, WAV, AAC, FLAC, OGG, APE), extract audio from video files, rip CDs to music files and burn music CD from video and audio files on Mac. You can use this professional audio converter to adjust the effects (fade-in, fade-out, volume normalize, band pass, chorus, flanger, echo, speed) of audio files before you convert video/audio files or rip CDs to music files, convert one file to different audio files at one go, clip audio segments you favor, split audio files, then convert or rip or burn audio files! Download mediAvatar Audio Converter Pro Mac for free now. Enjoying your favorite music has never been easier!